According to WebMD, Rosacea develops in phases. It is important to recognize it in the early phases so that you can break or prevent the cycle of inflammation and calm your sensitive skin. Antioxidant & anti-inflammatory ingredients including D Glucan, Emu Oil, & Emblica combine to soothe and heal Rosacea, and sensitive skin. The Sensitive Creamy Cleanser is also recommended for all skin types recovering from chemical peels, such as our TCA Peel. The Calming Moisture Cream contains highly specialized ingredients, such as Green Tea Extract, Emu Oil, & Zinc Oxide that combine to provide a soothing, anti-inflammatory effect, calming irritation and reducing redness caused by Rosacea or sensitive skin. The development of Ocaline has resulted in a breakthrough for fighting skin inflammation caused by rosacea, acne, and sensitive skin. Ocaline is a mixture of active ingredients from natural origins with complementary characteristics that inhibit the process of inflammation. The Sensitive Soothing Gel combines a potent concentration of Ocaline with anti-oxidants and anti-irritants, which enable increased water absorption and improve the resiliency of the skin. 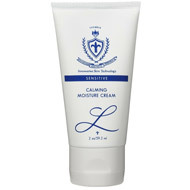 This is an ideal moisturizing cream for those with sensitive, oily, youthful, or dry, delicate skin. It contains a light blend of Lactic Acid, Botanical Extracts, and Essential Oils. Click here for more in-depth information about “What is Rosacea”. Antioxidant & anti-inflammatory ingredients such as D Glucan, Emu Oil, & Emblica combine to soothe and help heal Rosacea and Sensitive Skin. The Sensitive Creamy Cleanser is also highly recommended for all skin types recovering from chemical peels, especially the TCA Peel. Apply to face with a cotton ball to remove make-up or impurities. Alternatively, apply by emulsifying in the palm of the hand, then gently massage onto the face using fingertips. Rinse with lukewarm water and dry with soft towel. Formulated with highly specialized ingredients such as Emu Oil, Zinc Oxide, Algae Extract, and a wide range or other natural botanical oils and extracts, the Calming Moisture Cream provides a soothing, anti-inflammatory effect to Rosacea and Sensitive Skin, helping to reduce the redness and irritation caused by sensitive skin and other environmental factors. 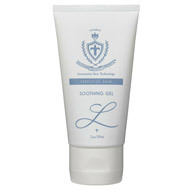 Apply once or twice daily on clean, hydrated skin by gently massaging onto face with fingertips. For best results, allow product to absorb into skin before applying solar protection or other products. The recent development of Ocaline has resulted in a breakthrough for fighting skin inflammation caused by Rosacea, Acne, and sensitive skin in general. Composed by a mixture of Spring Sea water (naturally rich in minerals & trace elements) and the basic Amino Acid Curcurbitine (extracted from pumpkin seeds), Ocaline is a mixture of two active ingredients with complementary characteristics that help inhibit the process of inflammation through neurological transmission. The Sensitive Soothing Gel combines a potent concentration of Ocaline with anti-oxidants and other anti-irritants such as Phyllanthus Emblica Fruit Extract, Corallina Officinalis Extract, and Sodium Hyaluronate, which enables increased water absorption and improvements in the resiliency of the skin. Use on red or inflammated Rosacea skin, or on other skin types post treatment (after any kind of peel that may cause redness or irritation). This gel may be used twice a day, and can be used under makeup as well. Allow the skin to absorb the gel for 10 minutes before applying any additional skin products. Smooth a pearl size drop onto the face once or twice daily. 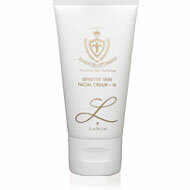 For best results, apply after the Nano-Peptide B5 Complex and follow with Solar Protection.